Enjoy the top 11 famous quotes, sayings and quotations by Bonnie D. Parkin. 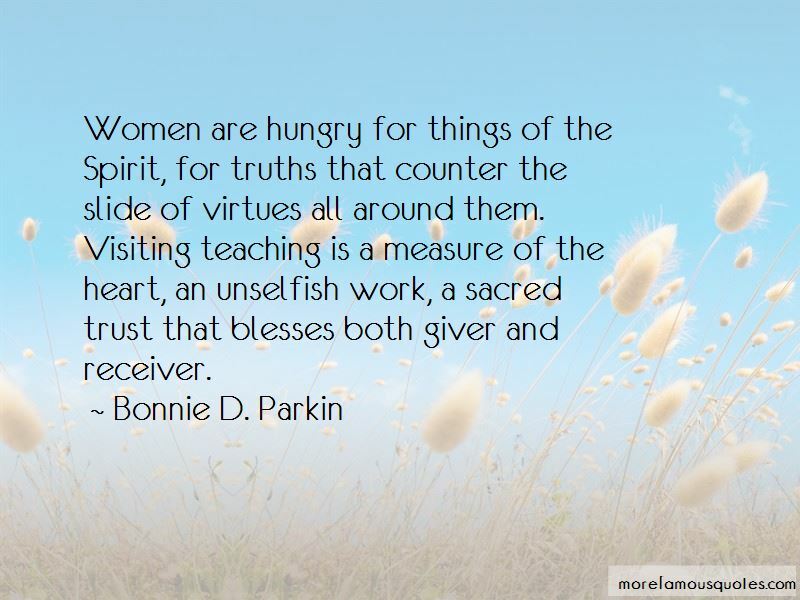 Women are hungry for things of the Spirit, for truths that counter the slide of virtues all around them. Visiting teaching is a measure of the heart, an unselfish work, a sacred trust that blesses both giver and receiver. Want to see more pictures of Bonnie D. Parkin quotes? 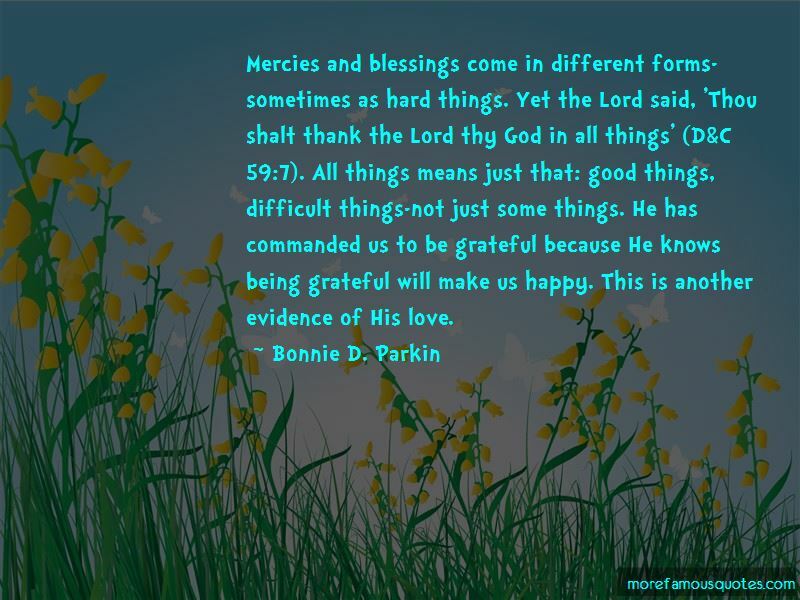 Click on image of Bonnie D. Parkin quotes to view full size.